Radjay Anastrozole PCT tablets of the third generation. It is a highly selective non-steroid medication used in sports to prevent the presence of gynecomastia. 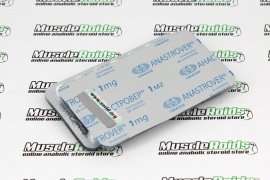 Radjay Anastrozole good after long steroid cycles with huge doses of steroids. Radjay Anastrozole is one of the various effective and popular in direction of protection against the side effects of feminization. The action is way better than the almost the same Tamoxifen, but it is based in a different origin of action. Radjay Anastrozole is designed to reduce by 80-90% of action the first level and decrease aromatization. Anastrozole has a higher effectiveness. Right after a couple of hours taking the steroid, the aromatization procedure will be completely blocked due to the maximum concentration of the medication. 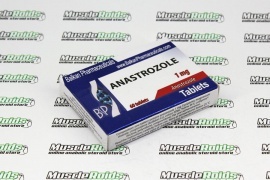 Anastrozole can be used in bodybuilding to eliminate gynecomastia after use of various testosterone esters, Sustanon and other steroids with androgenic activity. Its use is usually recommended for experienced sportsmen using high dosages and long cycles.